Grup Eina Digital is an international company devoted to the innovation in the automotive industry. We use strict quality criteria and the latest technology in order to contrive, develop and launch services and products that help workshop professionals to improve their work. Grup Eina Digital is an international company dedicated to innovation in the automotive industry. We design, develop and start up services and products that help to improve the work of the professional repairers, under strict quality criteria and by using the latest technology. The Company was born in 2003. 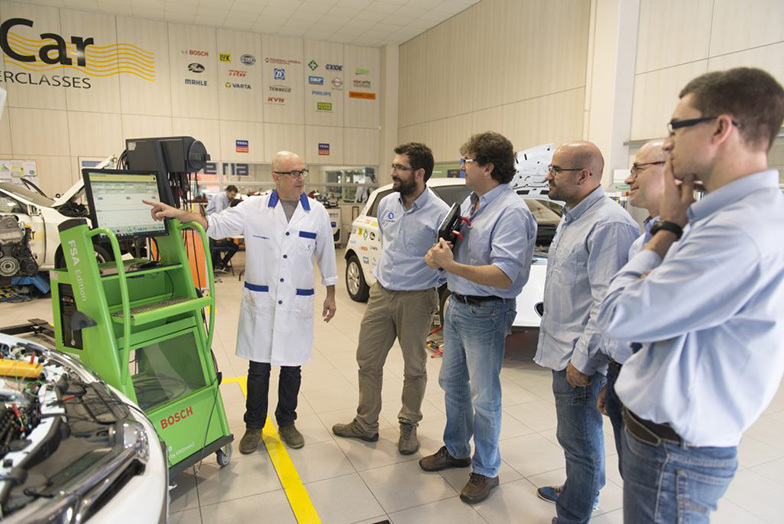 We have two headquarters, one in Badalona and another one in Figueres and over the years we have become an established automotive company in terms of technological innovation in the motor industry. In June 2015 we opened our branch in Dublin in order to provide coverage to our customers in the United Kingdom and Ireland and confirm our international projection as we have already worked in more than 8 countries. We have a multidisciplinary team focused on innovation. Your satisfaction is our reward. We help our customers become more competitive by promoting innovative, effective and sustainable solutions for both products and services. Our products and services are backed by the satisfaction of our customers, who are aware of our self-demand and commitment to the projects we are involved in. We bring all our experience and advanced knowledge to the automotive sector (technology, repair and spare parts). We are committed to our work and we always seek the highest excellence. The training that Grup Eina Digital offers is absolutely differential. 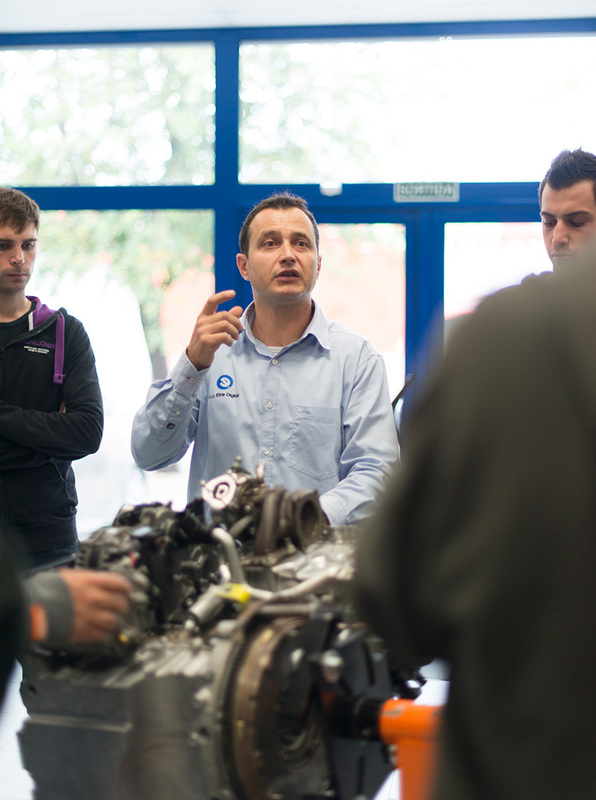 Technical experts from the automotive sector give you classes prioritising the practical aspects but without forgetting the theoretical contents. We had a good time, learned and updated our technical knowledge. I use Grup Eina Digital’s websites My garage web and Garage finder to satisfy my Internet presence needs. My garage web receives regular visits and we frequently get requests from customers. With only half an hour, my website looks nice and is part of a national search engine. Dis-Net is the ideal tool for optimizing the time in a workshop, as I can quickly have access to technical notes and diagnostic solutions, which are very useful when we work. It covers a very high number of vehicles, since it contains information from the main internationally renowned makes. Our team will be at your complete disposal and more than pleased to assist you.